This Holy Family contains Joseph, Mary, and baby Jesus. 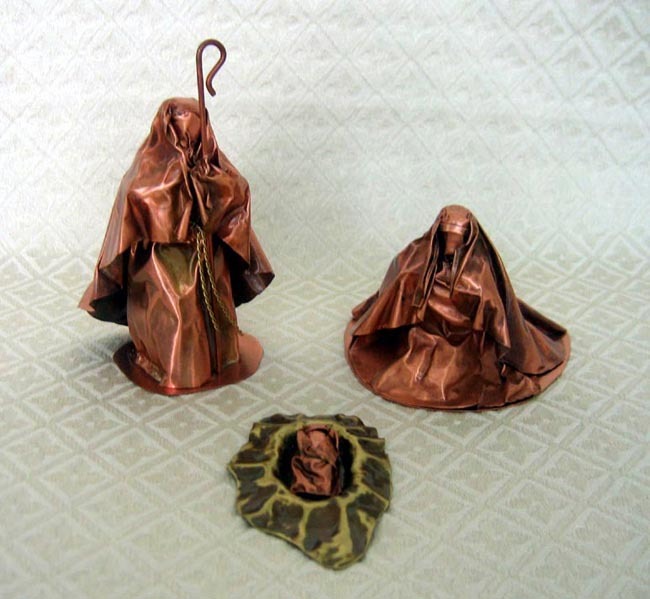 The figures are forged from valuable copper. Baby Jesus’s bed is yellow bronze. Joseph measures 5 inches tall to the top of his staff. $75. Please click here for purchasing instructions.